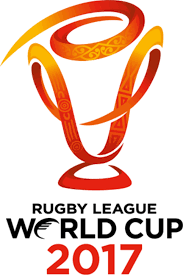 RLWC tickets for the match between PNG and Ireland this weekend is running out fast and the public have been urged to purchase the remaining 2000 tickets while they can. As of this morning, it has been reported that 13,000 tickets have been sold out already. The remaining 2000 tickets are for the Eastern stand and the Western Wings, the rest including the grand stand tickets have been sold out. RLWC and the local organizing committee believe this will be another sold out crowd just like the match last weekend.